Unique motorcycle stand that quickly folds up for easy storage. 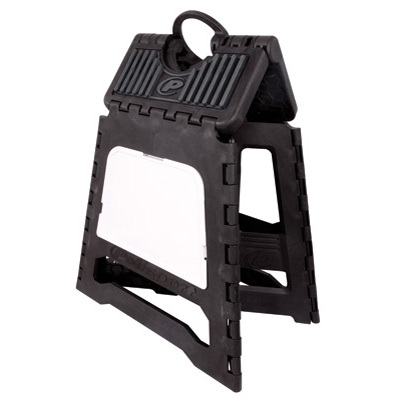 High quality injection molded polypropylene with an injection molded rubber top. 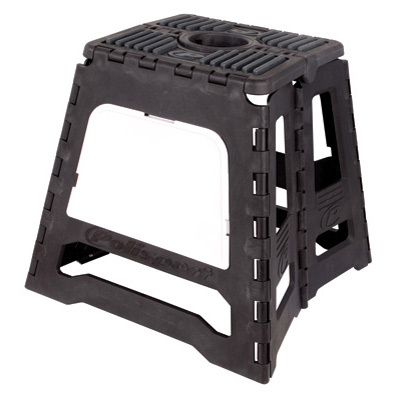 Lightweight yet extremely durable holding up to 550 lbs. 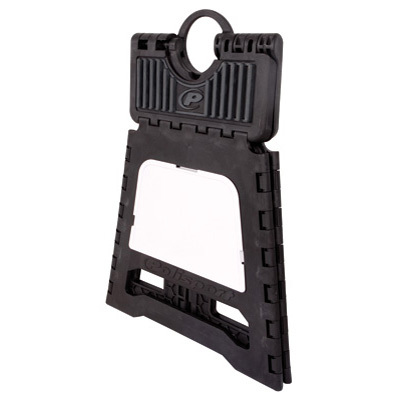 Super compact to easily fit anywhere in your shop or truck.